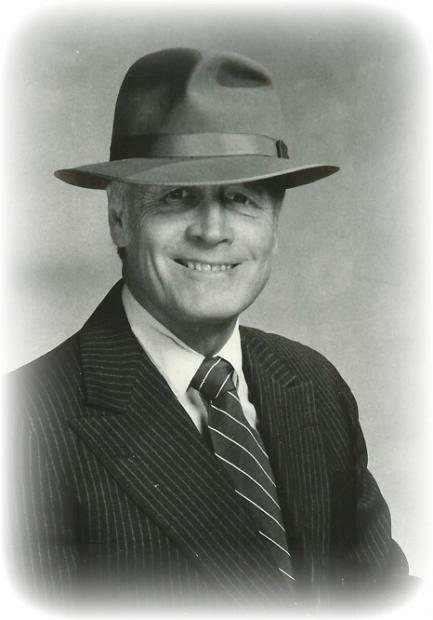 Clarence Ramon "Ray" Smith, 88, died Thursday January 1st, 2015, at his home away from home in Post Falls, Idaho after a long bout with Alzheimer's. He was born February 16, 1926 in Los Angeles, California to Violet Bulger. He attended Dorsey High School in Los Angeles and in 1943 at the age of 17 and the height of WWII, he made the decision to enlist in the Navy and serve his country. He served as a Corpsman on a Hospital Ship at numerous locations in the Pacific and was awarded the Victory Medal World War II. After returning from the war, he went to Pepperdine University and Graduated in 1950 with a B.A. in Physical Education. He went on to get his Masters at the University of Southern California. During his time in school, he met the former Janet Marie Johnson and were wed in 1950.Together they raised five children. He started his career teaching at Will Rogers Intermediate School and from there spent nearly 20 years teaching school at Leuzinger High School and was the head coach for the Track and Field and Cross Country Teams, he garnered many accomplishments including back to back state championships in 1960 and 61. Years later, he met Betty June Lambeth and they would marry in July 1977. Together they enjoyed traveling, sports and family. Ray loved his family and his belief in God is without question. He was very active in the Catholic Church and served it well. Ray's legacy lives on in his family. He is survived by his children Cory Smith (Betty), Jaimia Minor (Allan), Toby Smith (Tammi), Peter Smith, Brian Smith and John Lambeth (Susan) Grandchildren Nicole Smith, Garret Smith, Dillon Smith, Gerry Parker, Ryan Brucks (Caroline), Sarah Winkler (Jeremy), Joshua Brucks, David Brucks, Travis Smith, Cara Anderson (Levi), April Lambeth, Kaleb Lambeth, and Courtney Lambeth. Great-grandchildren Evey Brucks, Penelope Brucks, Khloe Anderson, Teegan Anderson, Jaxon Anderson and Nolan Lambeth. He is also survived by his brothers Don Deckman and Ron Deckman (Barbara), nieces and nephews. He was preceded in death by his mother, Violet Deckman, step-father Earl Deckman and his wife Betty June Smith. We wish to thank J & R Home Healthcare, The Lodge Senior Living and Hospice of Northern Idaho for making our dad's last year's comfortable.